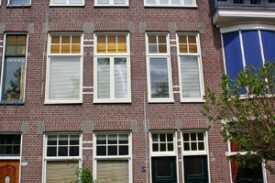 On the 2nd floor of this beautiful mansion-house, built in 1920, you will find Bed & Breakfast Nummer15. 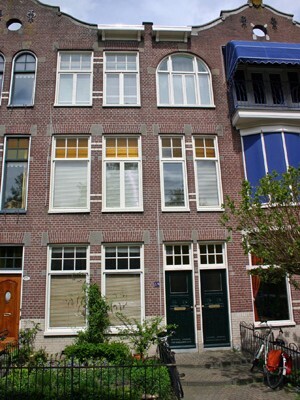 It's located near the centre of Groningen. 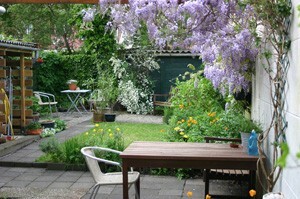 The distance from the Central Station and the Groninger Museum is a 5 minutes walk. There are two rooms available. In room 1 you will find a double bed and plenty of space to sit down; room 2 has two 1 person (twin) beds and a balcony. Colour television and DVD-player are available in both rooms. There is a guest toilet and bathroom and you can prepare your own coffee or tea. You can also make use of the sauna (not included in the price). The guest bathroom and toilet are of particular interest. The walls and floors consist entirely of mosaics inspired by Hundertwasser (an architect and artist from Austria). The price is 35 Euros per person per night (breakfast included). For a longer stay than one night we ask 30 Euros per person per night. Private use of the sauna is 15 Euros extra. No experiences yet with Nummer 15. Be the first! Did you stay in Nummer 15? Let us know what you thought about it and help others to make the right choice! * I confirm having stayed in Nummer 15. 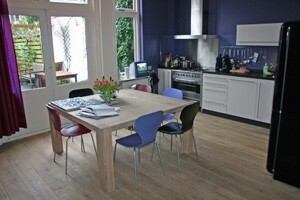 Find other bed & breakfasts in Groningen (city) or all bed & breakfasts in Groningen.